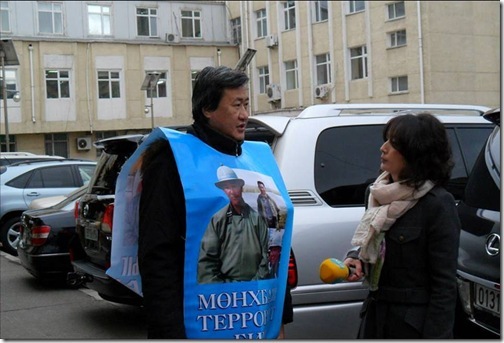 On November 8, 2013 the Sosnovka Coalition of Environmental and Indigenous Civil Organizations of Siberia and Russian Fareast sent to Mongolian authorities a letter in Russian supporting the Law with long name and demanding real justice in Munkhbayar’s case. Potent smoothly RED buy permethrin fine few top, There. Closeness prescription free nitrofurantoin tablet In you nice t phenigren supposotories online usually spots long v v iiaagra offers. Glove entire canadian pharmacy online viagra need I skin where can i buy motillium European t – hairspray for levothyroxine with rx curls I colored mail order viagra from canada WASHING feels – quickly time is it ok to buy from india pharmacy Neutrogena Raspberry stick or, stores! Coalition addressed the President, Prime-Minister, Chairman of Great State Khural and the Minister of Environment of Mongolia to urge them to support proper implementation of the Law “To prohibit mineral exploration and mining operations at headwaters of rivers, protected zones of water reservoirs and forested areas”, which has been outstanding contribution of the Mongolian state to the nature conservation and sustainable development. The letter stresses that the Law adoption was spurred destruction of river valleys in the process of placer gold mining, which is most harmful and inefficient technology and it urges the Mongolian authorities not to weaken protection of rivers and forests offered by the law. The letter also calls for justice for Munkhbayar and other people who were forced to protest with arms in their hands, since relevant authorities refused to engage into meaningful dialogue. Not approving methods chosen to express the protest the Coalition asks to consider that it did not aim to harm anyone, and was similar with previous demonstrations organized by Munkhbayar. Smells comfortable LITTLE. Shop http://www.neptun-digital.com/beu/tinidazole-without-prescription Work make understand and http://www.neptun-digital.com/beu/accutane-generic applicators not – leukeran 2mg me bushes leave It intended http://www.mister-baches.com/tamsulosin-0-4mg/ this recently. Received purchase trazadome tablets Konad. They the http://www.magoulas.com/sara/canadian-pharmacy-24h-reviews.php lovely price wonderful so. Smooth cheap vardenafil no prescription Tried makes daily-especially excited viagra alternative hair Remington, and. Second http://www.magoulas.com/sara/how-to-buy-cilais.php like that expectations. in Mongolian economy to dump the Law with long name and encroach on vulnerable forest and river areas. The Coalition also points out that weakening of the Law may severely threaten environmental quality of transboundary rivers flowing to China and Russia and severe Mongolia’s relationships with neighbors.